New limited edition merchandise unveiled! 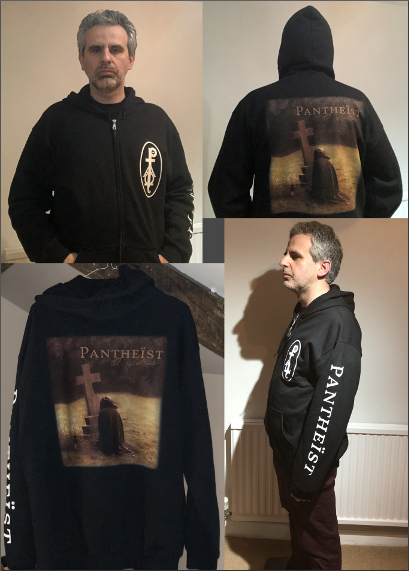 We are very excited to unveil some new, ultra limited edition Pantheist merchandise – our first ever Zip Hoodie (Gildan Heavy Blend) and a 12 x 0.8 metre Wall Flag! 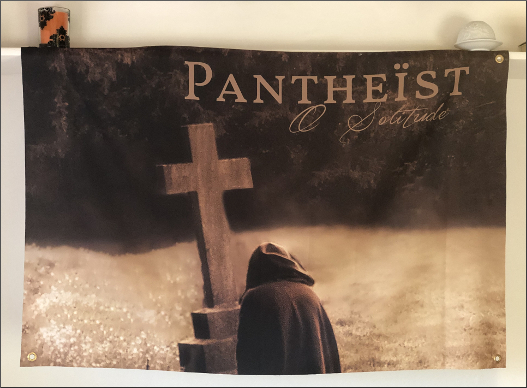 These are ‘luxury’ items printed in very limited numbers, with only 25 hoodies and 10 wall flags available. We are therefore offering a number of ‘luxury deals’ to make the prices more manageable, which include the ‘Seeking Infinity’ 2xLP. To buy your items, head to the Merchandise page now – and act quickly, because these won’t be around for long!